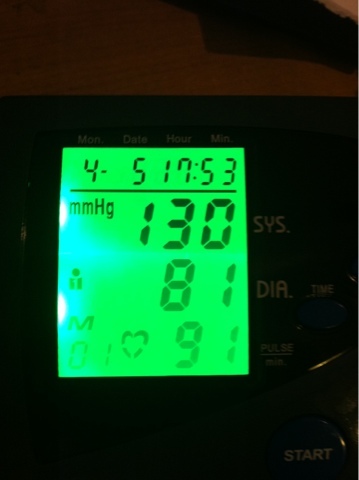 A few months ago, my husband as diagnosed with high blood pressure. He was placed on medication to keep it down, and has been doing much better. Blood pressure is something that is hard to measure at home, or so I thought. I was so excited to try out the Ozeri CarioTech Premium Series Digital Blood Pressure Monitor with Arm Cuff. Watch the video above for all of the great features! I was able to use it easily and it reported my blood pressure fairly accurately (note, in the video I was anxious-- I was recording a video for you all to see-- so it did measure high, which was to be expected). I had my blood pressure checked during my last appointment and it was 129 over 79. You can see that this cuff measured VERY similar to that when I was in my natural state, so it was very accurate. We were able to find the same unit on a GREAT sale (59% off) on Amazon! I received the blood pressure monitor to review here on MamaBreak. I did not receive any other type of compensation. As always, my opinions and experience are my own. Ozeri makes some really nice stuff!!! This would be really nice to have. Thanks for sharing. My father and father in law both have diabetes and this would be really nice for the both of them. Love Ozeri! I could use this and one of their scales! lol Awesome review! My dad could really use this!! 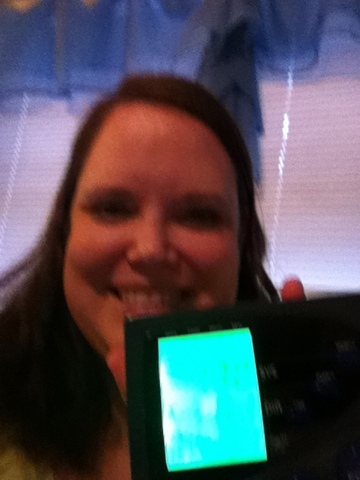 I love ozeri products, and we had had a chance to use this blood pressure cuff! Talk about easy!